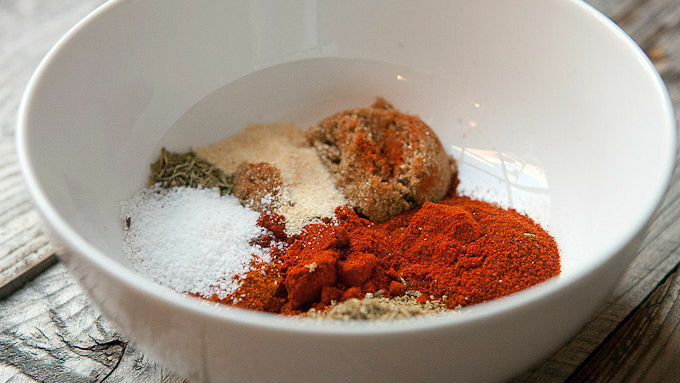 Mix together spice blend for brisket in a small bowl (chili powder, sugar, salt, cayenne pepper, garlic powder, black pepper and dried thyme). 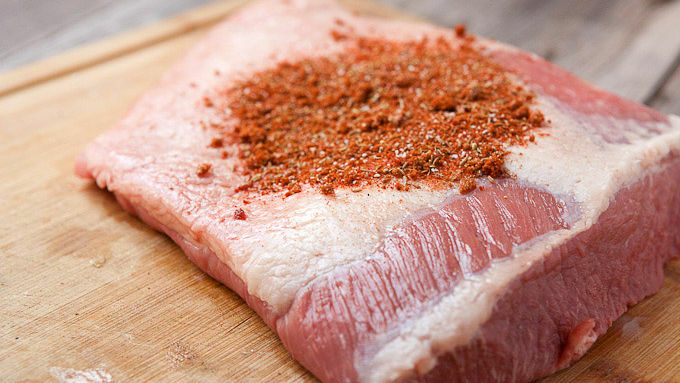 Rub brisket well with the blend. If your brisket is smaller, you might not need the entire spice rub. If possible, wrap brisket tightly in plastic wrap and let sit in the fridge for 4-8 hours. 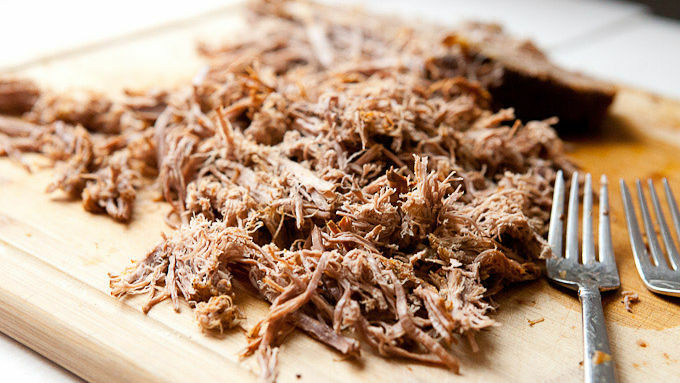 Remove brisket from slow cooker and slice off any large pieces of fat that remain. Pour liquid out of slow cooker and reserve for later. Use two forks to pull brisket apart and place it back in the slow cooker. 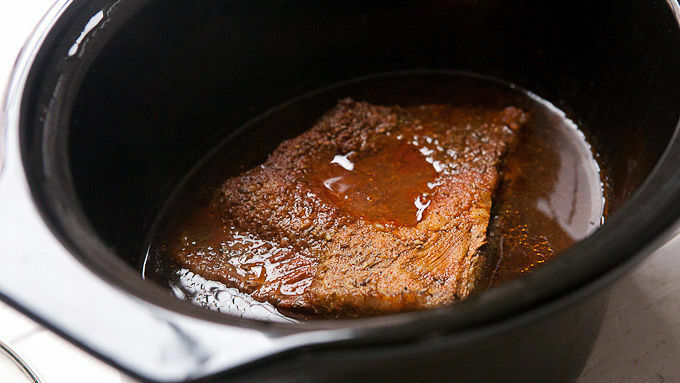 Add enough reserve liquid back to the slow cooker to keep the brisket moist (2-3 cups). 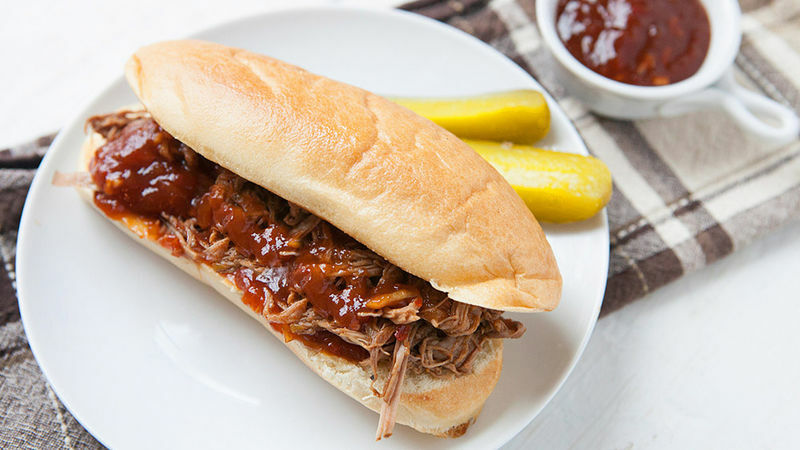 Keep brisket warm and serve it on toasted hoagie rolls with BBQ sauce (either purchased or homemade - see below for recipe). 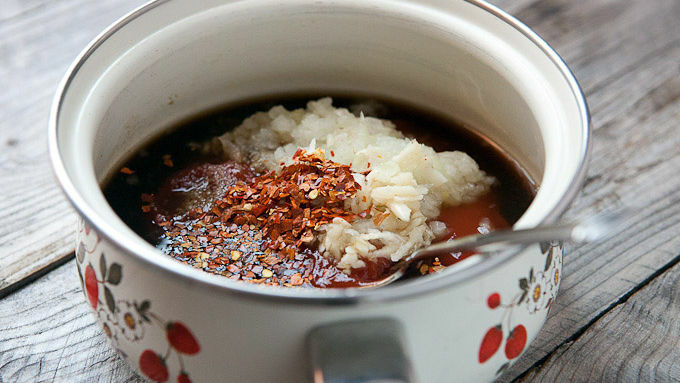 For Homemade Sauce: Add grated onion and garlic to a medium pot with vegetable oil over medium heat. Cook until vegetables are softened (2-3 minutes). Then add all other ingredients and bring to a simmer. Turn heat down to Low and simmer BBQ sauce for 25-30 minutes until it thickens, stirring regularly to prevent burning. When sauce is thick, turn off heat and let cool. Season sauce with salt and pepper to taste. It will continue to thicken as it cools. Got beer left over from the big game? Use it to make this delish dinner tonight! Beef and beer – a classic dinner combo, especially when you use the beer to cook the beef! I primarily use beer for drinking, but occasionally there’s a recipe so good that I’ll spare a little beer for it. Okay, okay… actually I love cooking with beer, so I will frequently stow away a few good ones for cooking later. These brisket sandwiches are a great example of how beer can be perfect as a cooking liquid. The finished sandwiches don’t taste like beer, but they do have a subtle, sweet and savory flavor that’s pretty hard to replicate without a few brews. If you have some beer leftover after a game or party, stash 'em for use in this great recipe.